Mobile app developers are an essential part of the mobile device market. They design, code, test, and upgrade applications that make smartphones and tablets as useful as they are. Apps are programs optimized for low-powered devices with smaller screens that provide additional functionality, much like full-scale programs on a desktop or laptop computer. Without these apps, your smartphone wouldn't be so smart. There is no limit to the type of apps you may design for a mobile device. There are apps for businesses, fitness, budgeting and money-tracking, social networking, mobile games, and more. The mobile app development profession is a lucrative profession, with a national average salary of $102,000. Demand is strong and is continuing to grow with the expansion of the mobile app market. 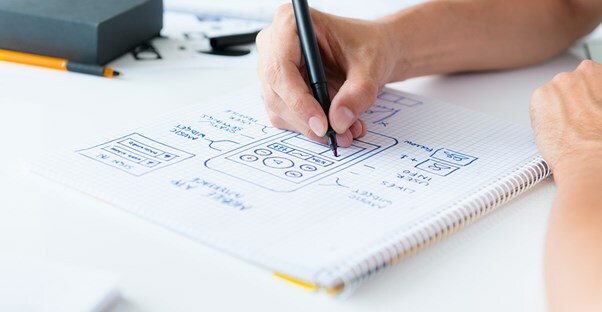 Many businesses have yet to branch out into the mobile app market and are seeking knowledgeable and creative mobile app developers that will allow them to do so. With several mobile platforms to program for and the potential for there to be more, app development is a strong career choice with high pay and stability. Typically, a bachelor’s degree in computer science, software engineering, software developing, or if your college offers it, a specialized degree in mobile app development will give you a leg up in the industry. Many colleges may offer a mobile developing track within one of the previously stated majors. It is imperative to become proficient with several programming languages, including C, C++, Objective-C, Java, and C# (C sharp), depending on what mobile platform you want to develop for. Your college of choice will likely have at least a few classes dedicated toward an in-depth look at a few of these languages that you may take. You must also become comfortable working with mobile operating systems, as without it the applications would not run at all. Knowing common bugs or hurdles will allow you to be more flexible when designing an app in any programming language. How Do I Become A Mobile App Developer? After becoming knowledgeable in the system and languages you need in order to develop mobile applications, it is time for you to do just that. Design, code, and create an app, any app, in order to start building your portfolio. It does not have to be incredibly successful, but it should show off your skills as a developer and be functional and user-friendly. Start to network with other developers, whether it is through an internship in college or a starting position in a mobile app development team. Mobile app developers create the fun and useful apps that everyone with a smart device interacts with regularly. It is a stable, growing technological field with lucrative pay, and a rewarding career. What is an iOS Developer?